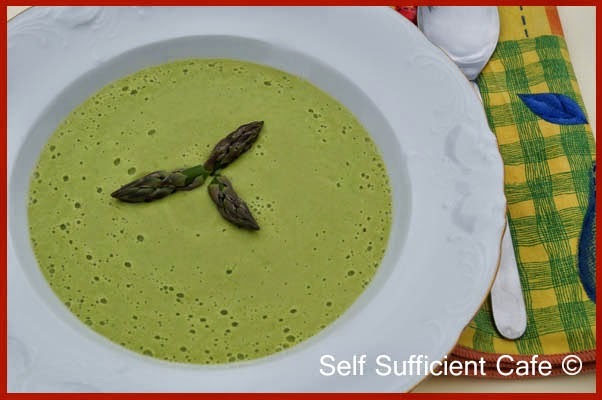 Asparagus is pretty good for you too, it's brimming with antioxidents, which help prevent cell damage, and those green spears also provide anti-inflammatory nutrients. 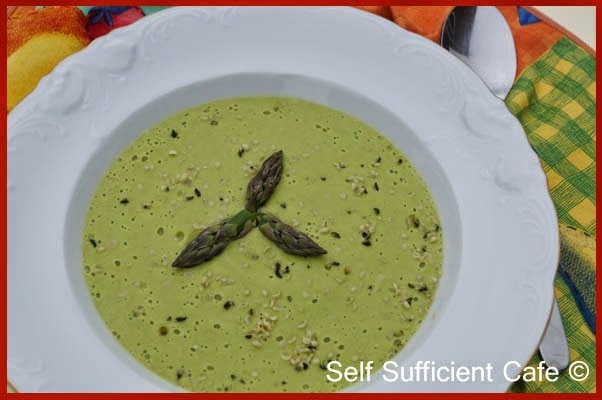 I decided to make soup with the bunch of asparagus I had treated myself too at the weekend, this recipe is super quick and super easy, you just have to give it a go. I could eat this for lunch every day throughout its short growing season. First slice the spring onions and add to a pan with the olive oil and sauté for 1 minute. Break off the woody ends of the asparagus stems and chop the remainder of the stem into 4-5 pieces. Add to the pan and continue to sauté for another 3 minutes. Sprinkle the bouillon powder over the vegetables and add a splash of water to stop everything sticking to the bottom of the pan. Sauté for another minute. You haven't over cooked the vegetables, they will still have a little bite. Put 6 spear tops to one side then add the mixture to a powerful blender (I used my Vitamix) and top with the hot water and the cashews. Please note if you haven't got a powerful blender soak your cashews in water for 1-2 hours so your machine can handle them. Blend until you have a smooth and creamy liquid. Taste the soup and add salt and pepper to your taste preference, it won't need an awful lot as its pretty darn tasty as it is. 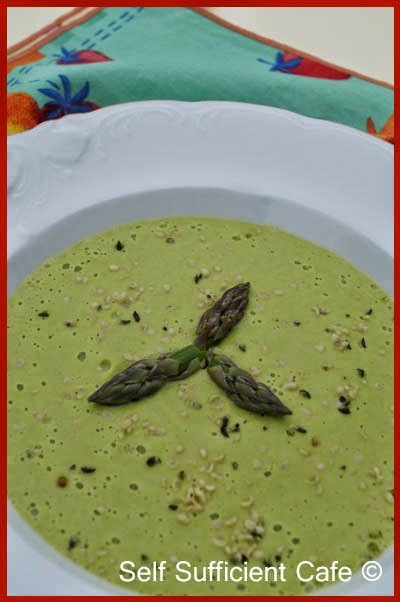 Serve straight away, using the saved asparagus tips as a garnish. Try sprinkling on a little hemp seed too. Gosh, how time flies! 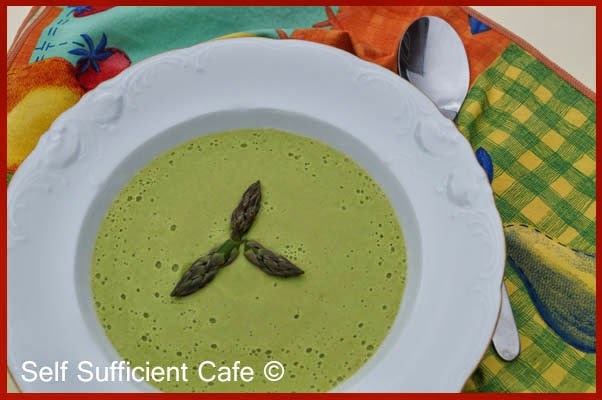 It's that time again when I post another recipe using the products that Suma have sent me. Last time I made Broccoli and Cauliflower Mornay and I realised that three of the four recipes that I had created to date were "cheese" based! Talk about stereo type! 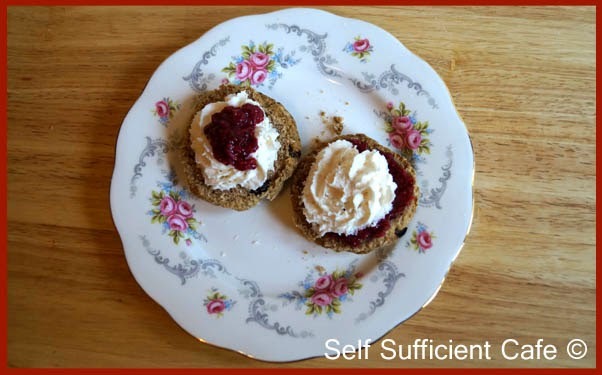 This time I decided to move away from the "cheese" even if it is vegan and decided on a sweet recipe; scones with raspberry chia jam. Believe me I was tempted to make "cheese" scones too! But I resisted and I'm so glad I did as the raspberry chia jam was so darn delicious. Now, I'm not the first blogger to make chia jam and there are plenty of recipes out there to choose from but I was happy with the one I made and it was super easy. 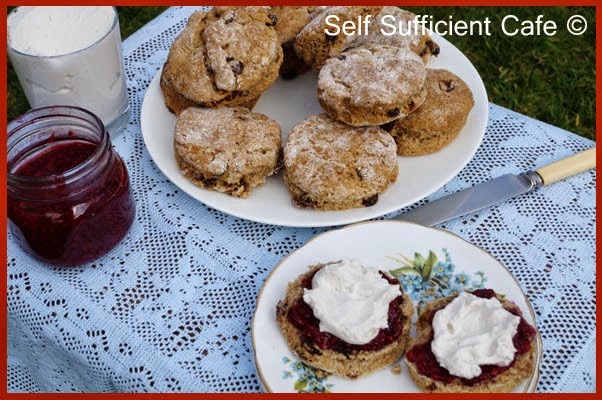 The scones and jam don't take long to make at all, and it is worth making the coconut cream, but you can also use ready made soya whipped cream that comes in an aerosol can, if you can't wait overnight for the tin of coconut milk to separate. One question though, do you add the jam first and top with cream or add the cream and top with the jam? I tried both and my favourite was adding the jam first and topping with cream. 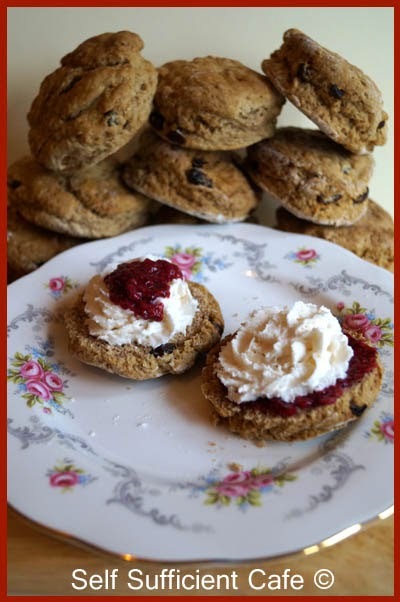 They are delicious and I actually ate 2 straight away, the first time, each half was topped in a different order and the second time I added the jam first then the cream. I had to stop myself going back for a third! Add the flour, baking powder, bicarbonate of soda and vitalite to a food processor and pulse until you have an extra fine breadcrumb. You can do this by hand if you prefer, but this way is fast! Plus you don't get messy hands rubbing the margarine into the flour. Transfer to a bowl and add the sugar, mixed spice, cinnamon and raisins and stir to combine. 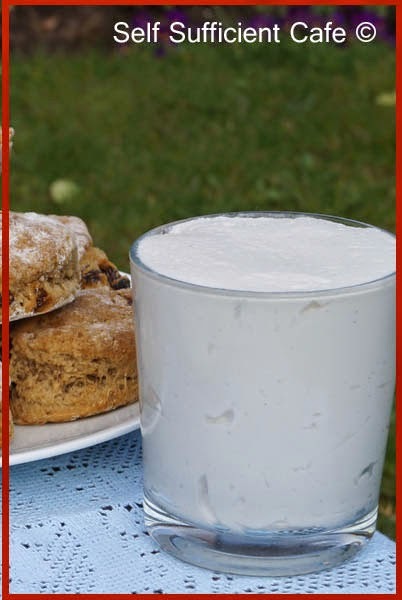 Make a well in the centre and pour in the almond milk. Using a fork bring the flour into the centre and mix until you have a ball of dough. Tip out onto a floured surface and using the heel of your hand flatten to around an 2cm thick. Using a cutter (or in my case a plastic container) cut out circles from the dough and place on the lined baking tray. 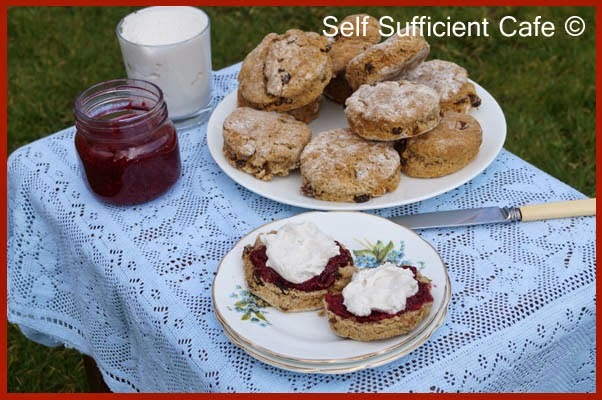 You will need to re-form into a ball and flatten a couple of times to get 10 scones. Bake in a moderate oven for 12-15 minutes. 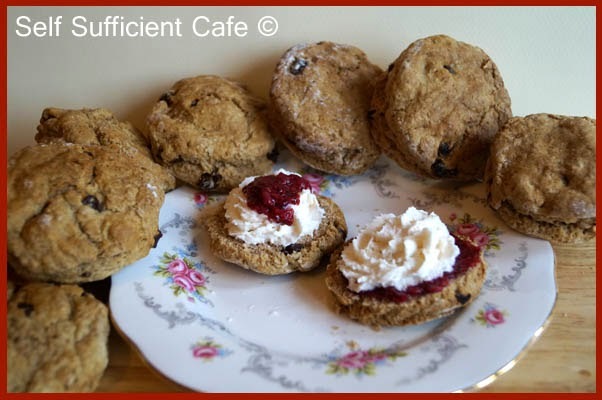 I think the scones would freeze well, but they didn't last that long to find out! Place all the ingredients bar the vanilla paste into a small saucepan. Over a low heat, slowly bring to the boil, stirring all the time to break up the raspberries. Simmer for 5 minutes until the mixture thickens slightly. Stir in the vanilla paste and transfer to a glass jar. Leave to cool slightly before adding the lid. Store in the fridge, the chia jam can be kept in the fridge for a week if it lasts that long! Its also great on toast or crumpets! Put the tin of coconut milk in the fridge overnight. This helps the 'cream' separate from the coconut water. About half an hour before you start making the cream, put the bowl you will use to make the coconut cream in the freezer. Using a cold bowl helps the cream to stay firm(ish). Remove from the fridge and turn upside down, this will now have the coconut water on the top. Using a can opener take of the top (which was the bottom) and pour the coconut water into a bowl and save for a later use. The coconut water is a great addition to smoothies. You will be left with the hardened coconut cream in the bottom (was the top) of the tin. Remove the bowl from the freezer and spoon the coconut cream into the cold bowl. Add the agave nectar and vanilla paste and using an electric whisk, beat until you have a thick but spreadable cream. 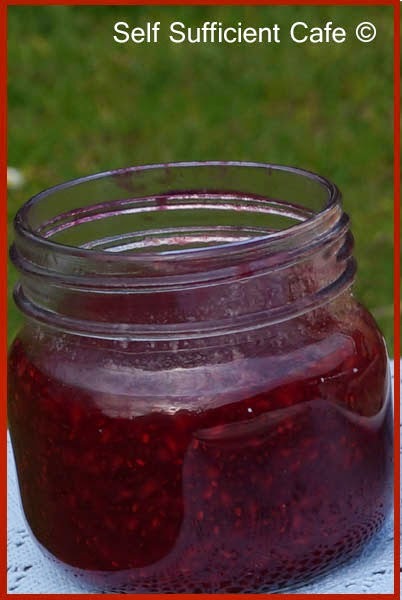 Add to a glass jar and like the jam, the cream can be stored in the fridge for a week if it lasts that long. 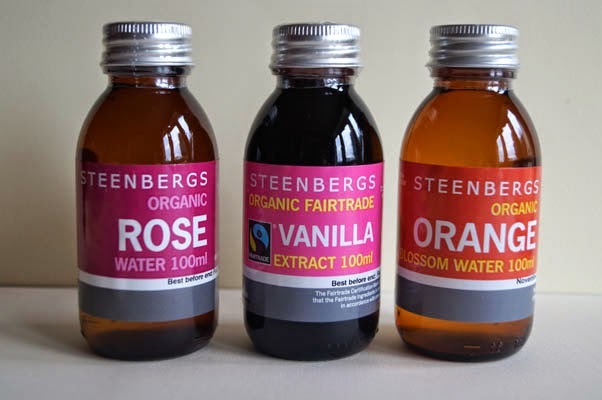 A couple of weeks ago Emily from Steenbergs got in touch with me and asked if I'd heard of Steenbergs and asked if I would like to try some of their products. Steenbergs is a small family run artisan spice company based in North Yorkshire. 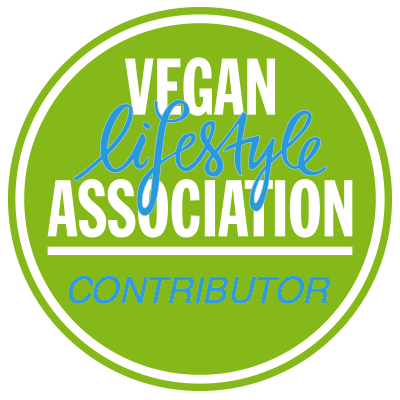 They specialise in the ethical sourcing and hand-blending of spices, teas and home baking ingredients with a focus on organic and fairtrade. Right up my street I thought! Emily told me they have a passion for provenance, aroma and taste. What was I waiting for, I couldn't wait to try out some of their products. Before I knew it a parcel arrived and it was filled with lots of goodies! I couldn't wait to get started, but first a cup of tea, one small problem which do I choose first! That was easy, I had been looking forward to trying their white tea with lemongrass and orange blossom with rose and cornflowers. The tea smelt wonderful as it was stewing and I wasn't disappointed when I tasted it, a perfect cuppa, it was absolutely delicious and I've been drinking it at least once a day ever since! Regular readers will already know I'm a massive fan of tea and one of my kitchen cupboards is always stocked with different flavoured teas, I am spoilt for choice some days. Two teas I regularly drink are earl grey or more recently lady grey in the mornings and I always reach for a green tea with jasmine to calm me down. But the white tea with lemongrass and orange blossom is up there with the lady grey and jasmine teas and is now a firm favourite. 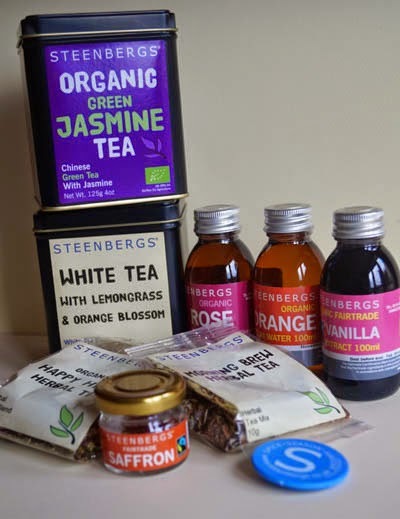 Steenbergs have recently been interviewing tea lovers for their blog so pop on over and check out my interview "Time for Tea". So, what other goodies did Steenbergs send me? The Happy Hippy Tea was also delicious and I love the quirky name and the Morning Brew Herbal Tea was great as a morning cuppa. 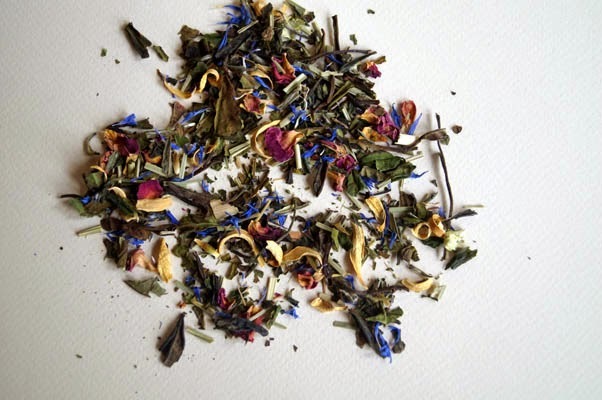 But my favourite has to be the White Tea, just look how pretty it is! 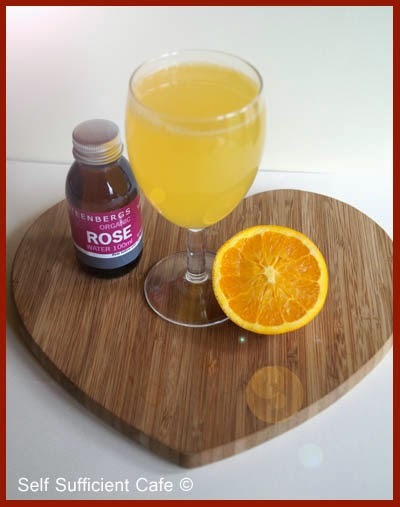 The rose water and orange blossom water intrigued me too and I couldn't wait to try out these products in my cooking. I was impatient though and I couldn't wait for a cake to bake or a Morrocan Stew, so I donned my thinking cap and came up with two super speedy recipes. A chocolate orange mousse and a rose and orange sparkler. First, the sparkler, it was so refreshing and perfect to sip, relaxing outside on a gorgeous sunny day. Mix the first three ingredients together then slowly pour in the sparkling water. Give the sparkler a little stir before pouring into glasses. Enjoy! And now for the chocolate orange mousse, delicious and light. Definitely a recipe to whip up time and time again. 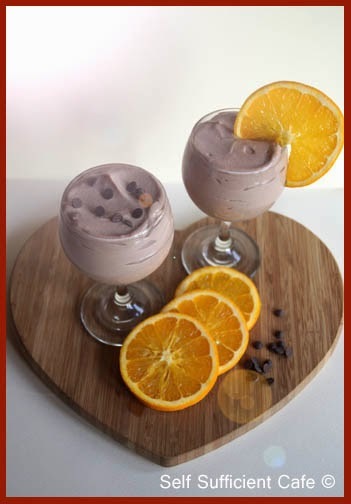 Add the first 4 ingredients to a food processor and blend till you have a smooth mousse, you may need to scrape down the sides of your blender from time to time. Add the melted coconut oil and blend again. Pour the mixture into glasses or bowls and place in the fridge for an hour to firm up a little before eating, if you can wait that long! You must go and check out their vast range of teas and personally I definitely think you should try the white tea with lemongrass and orange blossom, it is blissful. I'll be posting more recipes using Steenberg goodies soon. What would you use the rose water and orange blossom water for?